Love. We all seek it and all feel it, but no one has been able to discover an exact equation or way to calculate it. Sometimes love surprises us in unexpected ways, and sometimes love grows and changes as we do. Love is a beautiful mystery, and is the focus of this year’s Calgary Stampede Showband field show, Let Me Count The Ways. Let Me Count The Ways invites viewers on a journey of discovering what love means and the hidden mathematics within. There’s always a right answer in love, like in any equation, but there may be different ways to arrive at the same conclusion. While humankind strives to define love among the whirlwind journey this emotion takes us on, the basis of unconditional love proves to be eternal. Perfect circles representing this unending love are a common formation seen in Let Me Count The Ways; and the Stampede Showband is no stranger to the idea of coming “full circle”. Most of the current Stampede Showband instructors were once Showband members themselves who have grown into accomplished, confident young adults, now dedicated to helping develop the next generation. 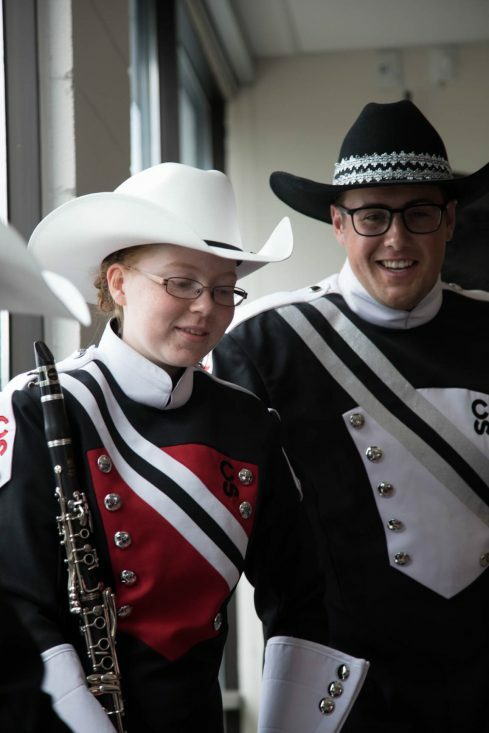 The Calgary Stetson Show Band and Calgary Round-Up Band are the natural steps youth move through prior to becoming a Stampede Showband member. 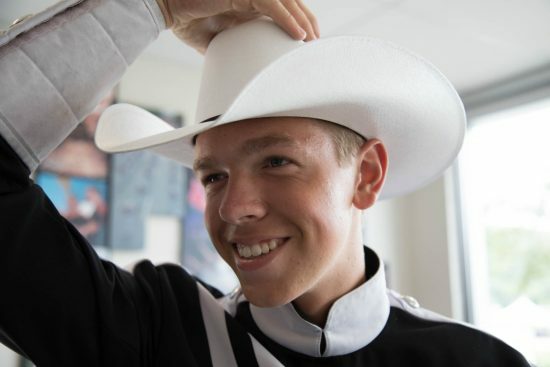 Kazakoff started in the Stetson Show Band and progressed to become a Stampede Showband member. 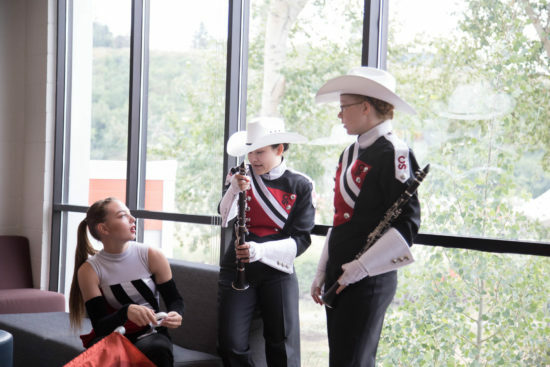 With a year-round schedule filled with events, practices, travel opportunities, fundraisers and more, the Stampede Showband members spend more time together than with some of their own friends and family – so building meaningful connections with the instructors and other band members is integral to their experience. The Drum Major and Sectional Leaders are one way band members practice leadership skills. There are many types of leadership opportunities that Stampede Showband members receive including becoming section leaders (such as for brass or woodwinds). 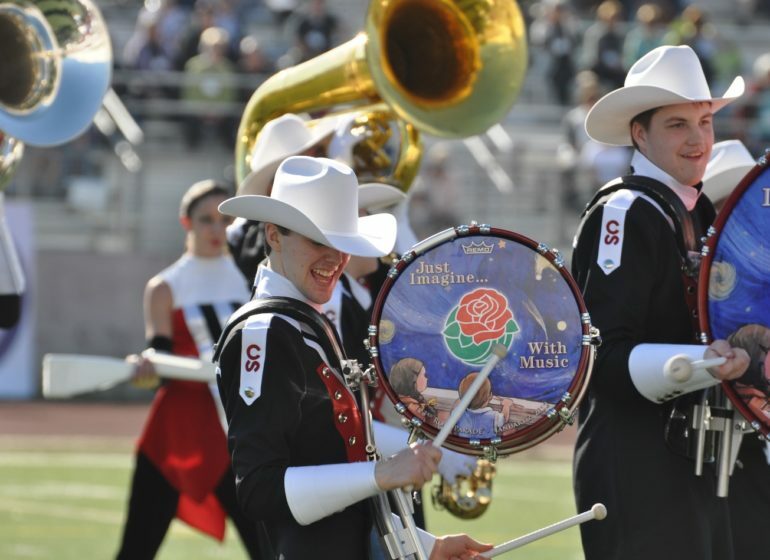 “I attribute a lot of my successes in post-secondary to my time spent with the Stampede Showband,” Jocelyn McHugh, Stampede Showband Student Leader, says. McHugh shares that the public speaking and interpersonal skills she learned while in the Stampede Showband helped her develop from a shy, quiet kid into a confident woman. 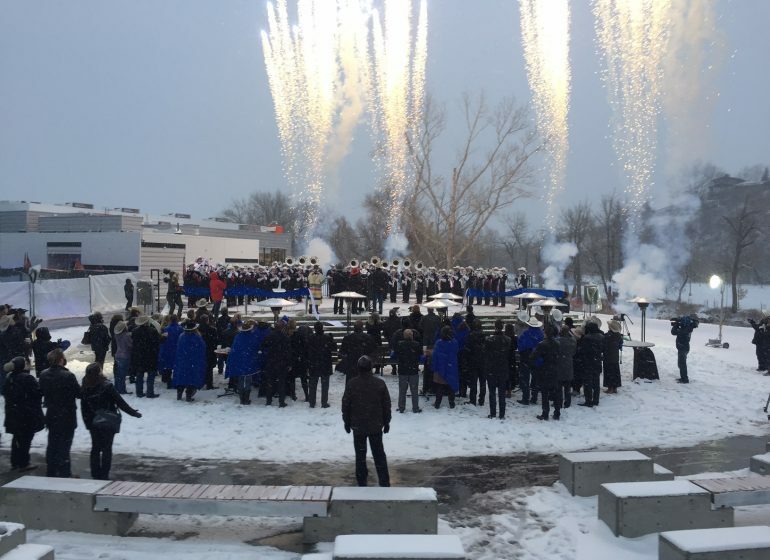 “The Stampede Showband has an incredible support system and I’ve built incredible friendships that will last a lifetime,” McHugh says. One of McHugh’s Stampede Showband roles is travelling to various schools to present and promote what the Stampede Showband is all about. In fact, listening to the presentation while she was a student is what inspired her to become a Stampede Showband member herself. “Yeah, I guess it has come full circle,” laughs McHugh as she realizes her position. After years of moving through the bands, it can be overwhelming to leave the group behind when band members age out at 21 years old. 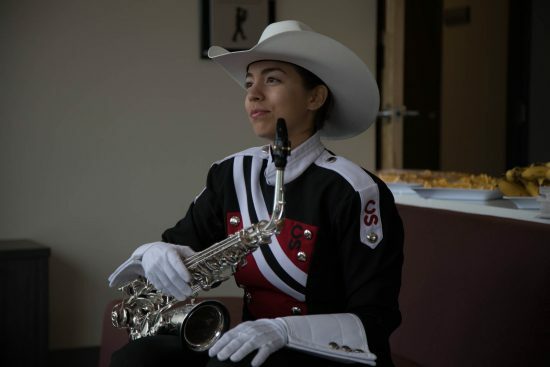 “It’s really exciting to look at yourself and see how you’ve grown over the years, but also sad to be stepping away,” explains Ashley Baes, Stampede Showband Student Leader who is currently in her last year of the Showband before she turns 21 years old. But an unstoppable work ethic and accomplishment driven out of a high-achievement mindset allow many Stampede Showband members to be accepted into prestigious and elite groups across North America when they turn 21. Ryan Hancock, for example, was a Stampede Showband who moved to Casper, Wyoming after his Stampede Showband days to participate in the Troopers, which is a world-class competitive drum corps. But throughout the high-level competitions, Hancock’s love for the Stampede Showband always remained. When he returned to Calgary the place most fitting for him to work was, or course, at the Calgary Stampede. 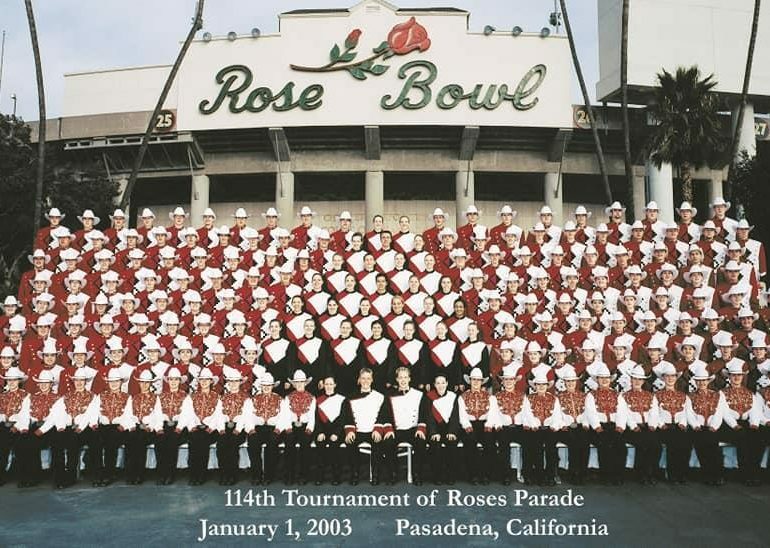 Like love, the path of each Showband member cannot be calculated or predicted. Life takes us all in different directions, whether we were planning to go that direction or not. But for Stampede Showband members, the bond they have with the program is always something they can always come back to. The Calgary Stampede Showband will be performing Let Me Count The Ways at Showbands Live at McMahon Stadium on Tuesday, July 10, 2018 at 6 p.m. Bring the whole family to witness this imaginative production and expression of love and mathematics. Look for the symbolism of love represented in the performance through perfect circle and heart-shaped formations, as well as the coming together of people and ideas represented through special movements and clapping hands; look for mathematics symbols represented through the Golden Ratio and other intricate formations. 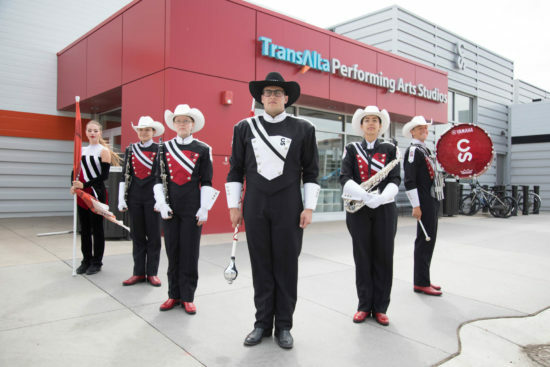 The Stampede Showband is just one of the Calgary Stampede Foundation’s Youth Development programs. 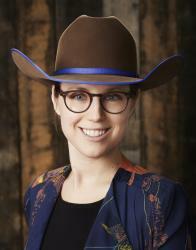 To learn more about the Calgary Stampede Foundation, visit http://foundation.calgarystampede.com/. 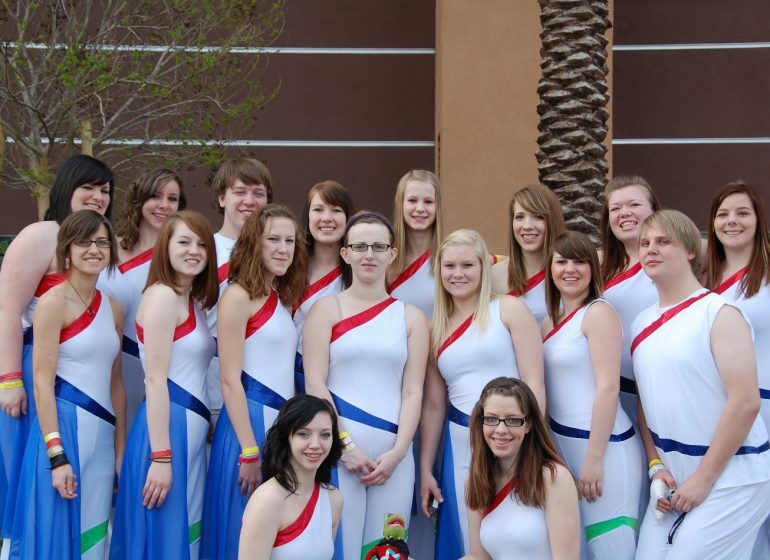 To learn more about the Calgary Stampede Showband, visit http://www.stampedeshowband.com/. To donate the Stampede Showband program, and for the chance to win some extra funds for yourself, purchase a 50/50 Lottery Ticket at the Stampede Rodeo and Evening Show during the Calgary Stampede July 6 – 15, 2018; a portion of the proceeds are given directly to the Calgary Stampede Showband. Looking forward to all your events. Calgary Stampede was on my bucket list and my 80th Birthday will be Saturday, Julty 14th. Excited!!!!!!!!!!!! Really like the newsletter blog, good info! We hope you have a wonderful 80th Birthday at the Calgary Stampede! There’s no better place to celebrate a big milestone than at The Greatest Outdoor Show on Earth! Yahoo!